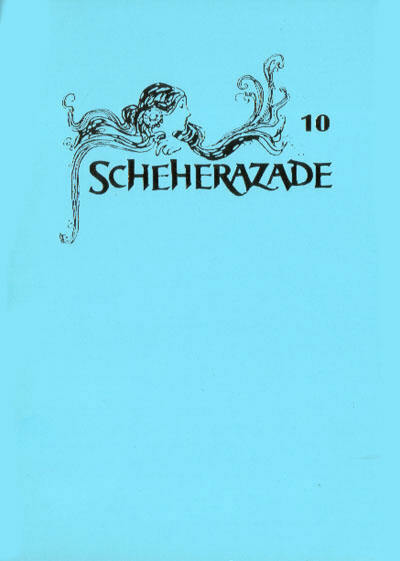 Scheherazade [# 9 (1994)] ed. 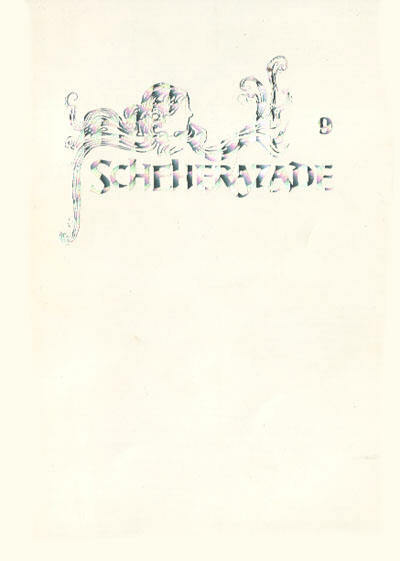 Elizabeth Counihan (Scheherazade, £1.99, 48pp, A5) Small press fiction magazine specializing in fantasy, sf and gothic romance. Available from Elizabeth Counihan, St. Ives, Maypole Road, EAST GRINSTEAD, West Sussex, RH19 1HL. 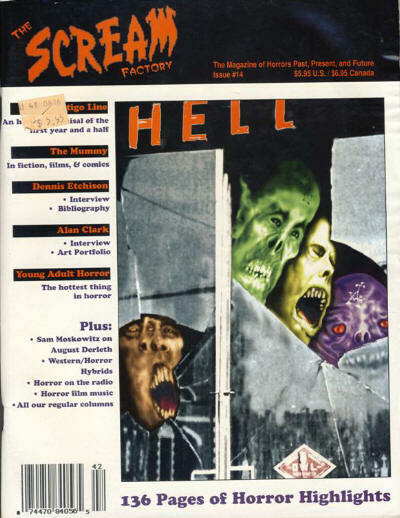 The Scream Factory [#14, Summer 1994] ed. 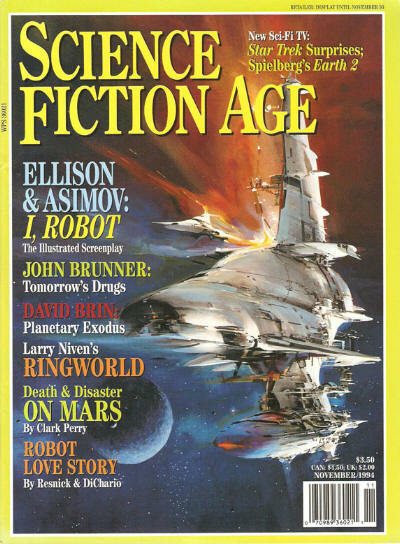 Bob Morrish, Peter Enfantino & John Scoleri (Deadline Press; Apache Junction, AZ, $5.95, 136pp+, quarto, cover by Jason Van Hollander) Only fiction listed. 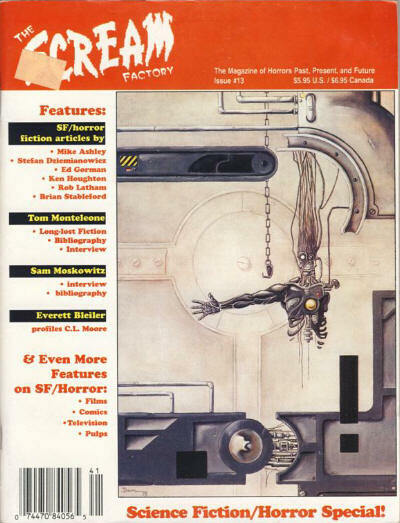 The Scream Factory [#15, Autumn 1994] ed. Bob Morrish, Peter Enfantino & John Scoleri (Deadline Press; Apache Junction, AZ, $5.95, 144pp+, quarto, cover by Paul Sonju) Only fiction listed. 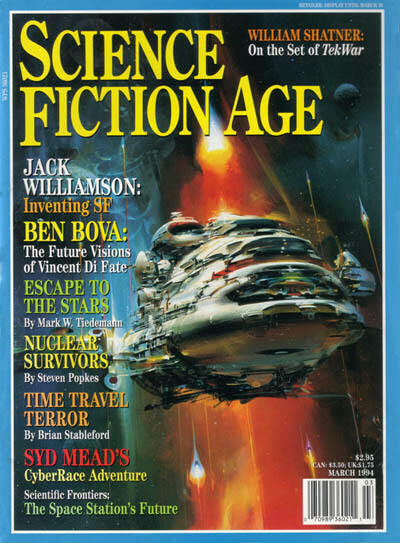 12 · The Challenge of Oust · L. S. Silverthorne · ss; given as by S. L. Silverthorne in toc. 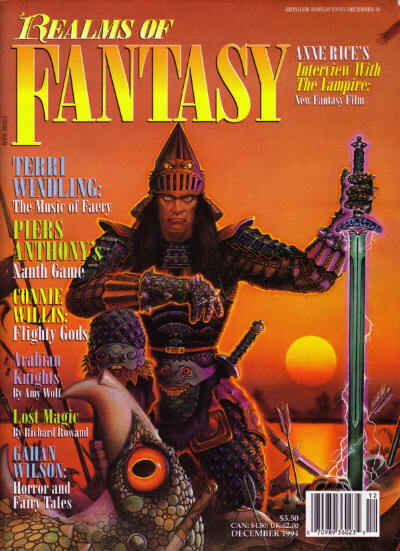 33 · The Name Unspeakable in Tel Urath · Janet Fox · ss Sorcerers Apprentice #6 80; given as by Janet Foz in toc. 49 · Tremors of the Soul · Jeffrey A. Stadt · vi; given as by Jeffery A. Stadt in toc.